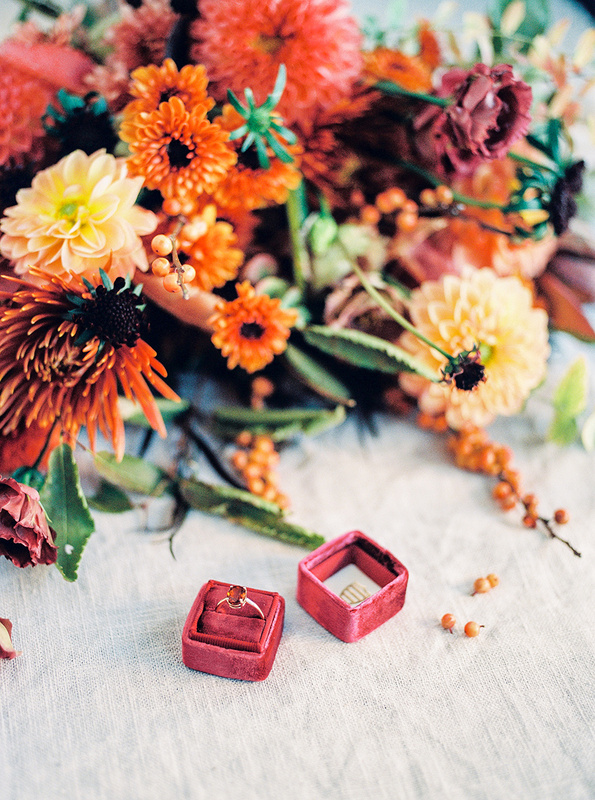 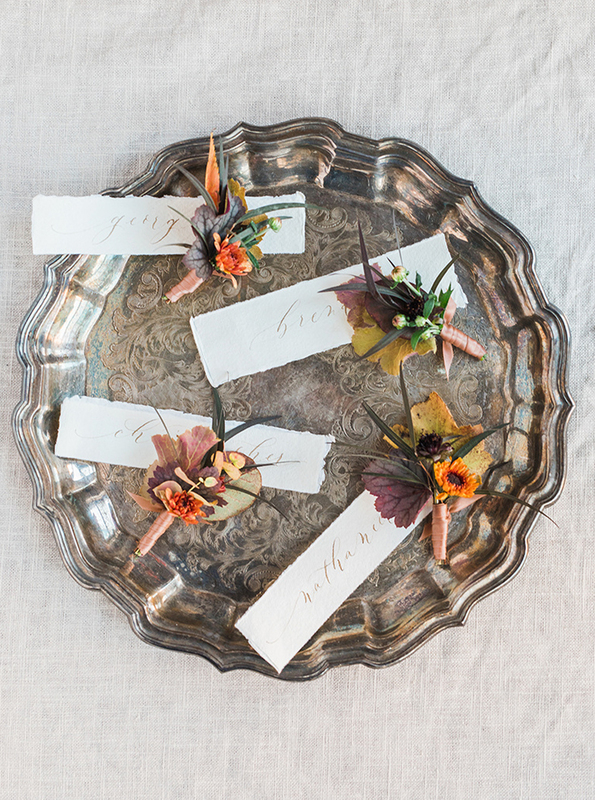 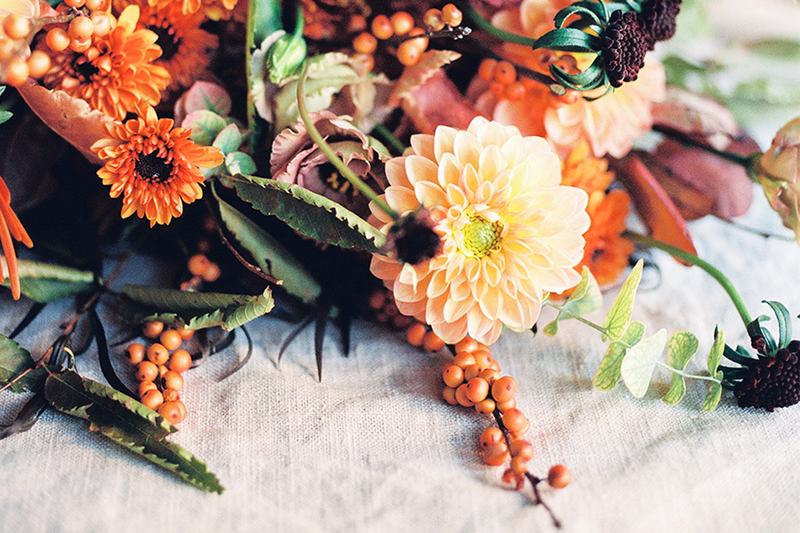 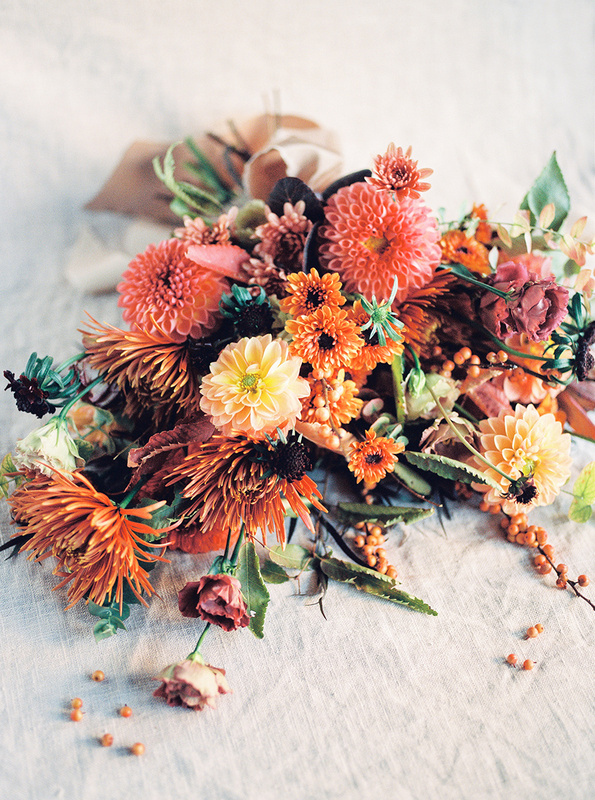 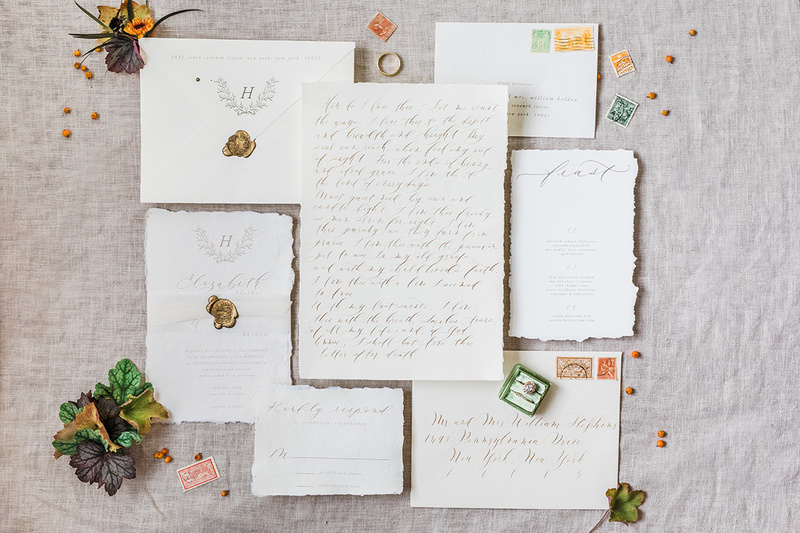 Inspired by the fall, we used beautiful jewel toned florals and ombre foliage for this Central Park shoot. 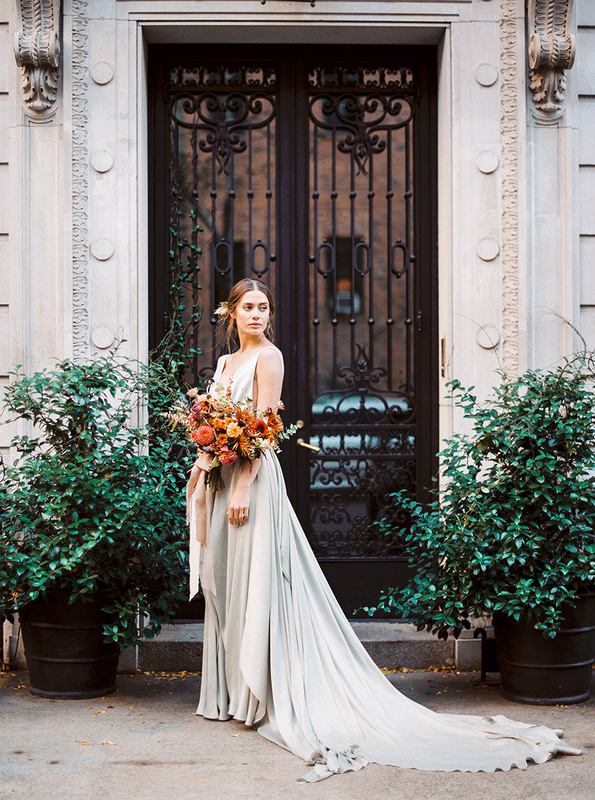 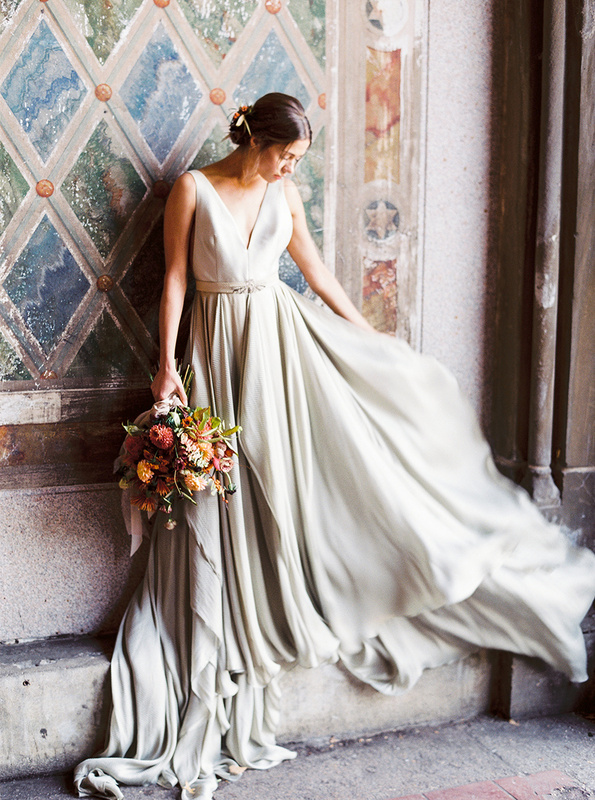 Alex Warschauer captured our florals perfectly – warmth, romance and beauty, on a cold New York day! 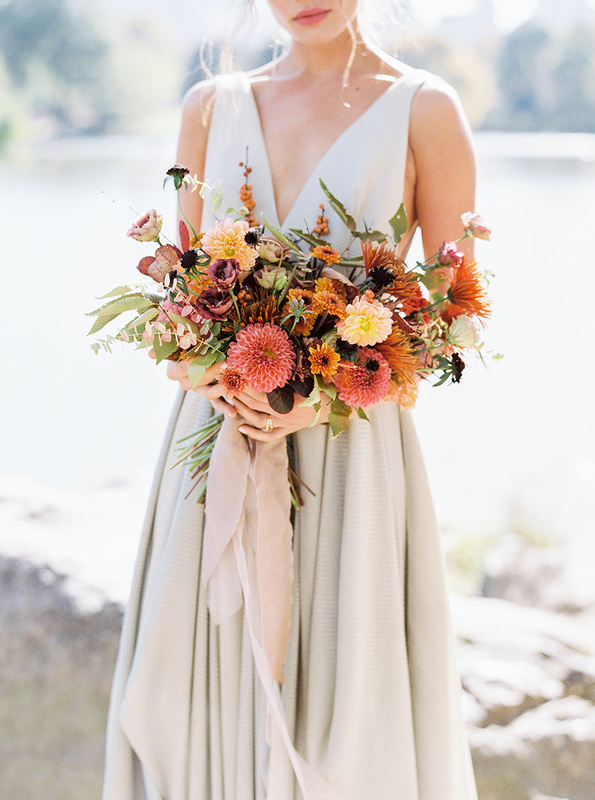 Flowers | FLWR, Photography | Alex Warschauer, Silk Ribbons | Frou Frou Chic, Production | Fifth Atelier, Model | Igga Akiseleva of Wilhemina Models, Stationery | Scribbles and Swirls, Makeup | Stacie Ford Weddings, Hair | Styles On B, Gown | Carol Hannah Bridal, Shoes | Bella Belle Shoes, Jewelry | Trumpet and Horn.